Alcorn County Electric Power Association is an electric distribution cooperative serving 19,000 meters in Alcorn County in North Mississippi. 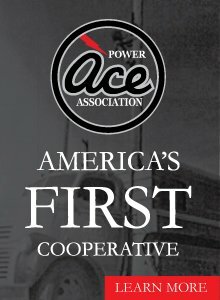 Electric cooperatives are private, not-for-profit businesses governed by their consumers (known as “ consumer-members”). Two federal requirements for all co-ops, including electric co-ops, are democratic governance and operation at cost. This means that every consumer-member can vote to choose the board that oversees the co-op and the co-op can not overcharge its consumers. Under this structure, electric co-ops provide economic benefits to their local communities rather than distant stockholders. is what makes cooperatives different.